If there’s one word that characterizes beauty concerns of this era, it’s definitely “natural”. Natural, organic ingredients and natural methods of manufacturing are at a premium for today’s consumers when it comes to their beauty purchases, much like their food purchases. Everybody is looking for the best performing natural products, and self-professed “organic” companies and their products habitually outperform those with less of a green footprint. From nail polish to makeup to hair products, women and men concern themselves more than ever with what a product is doing to their body as much as how it makes them look and feel. But the movement is far more than a fad, bigger than a mere trend. Natural and organic products boast a wealth of benefits for everyone, and avoiding the toxins in skincare and haircare products should be placed at a premium. 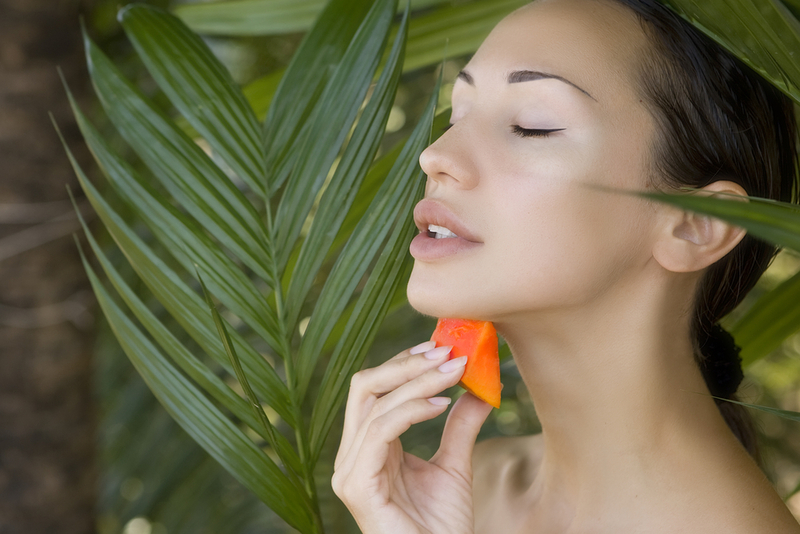 Most consumers don’t realize that we absorb a whopping 60% of what we place on our skin. And many of the more toxic ingredients in our beauty products are widely recognized as carcinogenic and/or having carcinogenic properties; benzoyl peroxide and sodium lauryl sulfate top this list. Parabens like methyl, butyl, ethyl, and propyl are often used as preservatives but not even placed on the label of many products that are packed with them. These parabens alone, widely found in deodorants, are now linked to breast cancer and hormone damage, especially in young girls entering puberty. As you can imagine, it’s even more important for expectant mothers to avoid toxic beauty products, not just for their health, but the health of their unborn children. Phthalates is a common toxic found in beauty products and has been linked to birth defects, not to mention decreased sperm counts. Even pre-pregnancy, toxic chemicals in beauty products have been linked to reproductive problems, infertility, learning disabilities, and even more minor irritants like skin allergies. Due to the popularity of the green/organic movement, it’s no wonder celebrities flock to the top natural brands, and relish the opportunities to hawk natural products. Self-professed “natural beauty buff” and supermodel Miranda Kerr is one of the top celebrities addicted to natural skin and bodycare, so much so that she created her own organic beauty line, Kora Organics, designed to coax a healthy glow out of your skin by nourishing and hydrating with healthy ingredients like noni and rosehip oil. Jessica Alba’s wildly popular The Honest Company started with a passionate mission to provide chemical-free products for babies and now sells beauty products as well. Alba is also involved with charities like Safer Chemicals Healthy Families in an effort to share her evangelistic message about the necessity of health-friendly products for everyone. Alicia Silverstone, a longtime vegan and environmental activist is a blogger at her site TheKindLife.com and also created her own line of cruelty-free, green-mindful makeup accessories. Intense in her desire to use natural products herself, she, like many celebrities swears by Priti NYC nail polish and Josie Maran cosmetics. With so much celebrity support, not to mention growing consumer health concerns and the widespread desire to live longer, healthier lives, the natural product movement is only going to get larger. It’s important not to just use beauty products for vanity’s sake, but to be sure we’re nourishing our skin and our bodies with what we put on and in them. Blo & Fill is passionate about all that’s organic, and following that credo, we only use natural skincare products. We’re so passionate, that we even serve organic beverages in the salon. Our belief is that you cannot be beautiful unless it’s from the inside out. Our mission and our promise is to help all of our customers achieve the kind of beauty that radiates from within. Dedicated Free Parking for blo & fil clients.